The Northern Syrian Federation, which emerged as a coexistence of the peoples who did not have to choose between the sovereign powers since the beginning of the Syrian civil war, became and still is the place for those seeking alternatives to the monotonous life imposed by the capitalist modernity. After the Kobanê resistance many women and men from alternative movements who came to say “another world is possible”, tell that they come here to protect ‘the little miracle created at the other end of the earth.’ Some of them are within YPG/YHJ against occupation and assault. Dozens of international revolutionary lives were lost in this process; British Anna Campbell (Helin Karaçox), Argentinian Alina Sanchez (Legêrîn Çîya) and Australian Ashley Johnston (Bagok Serhed) are just a few of them. International revolutionaries are not only involved in the field of war, but also choose to live in Rojava to be able to contribute to the created system. 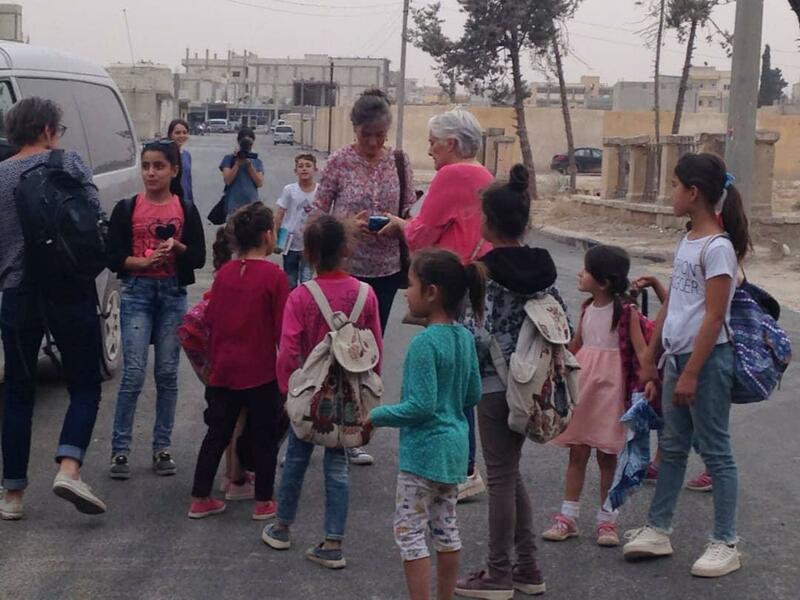 Mothers, who wondered why their children went to Rojava from the other end of the world, made an unusual visit to the Northern Syrian Federation recently. In fact, people from many parts of the world visit Rojava to see this model in place. Particularly due to the intense interest of women, the Kongra Star Diplomacy Unit and the International Team of Jineology do a lot of work. 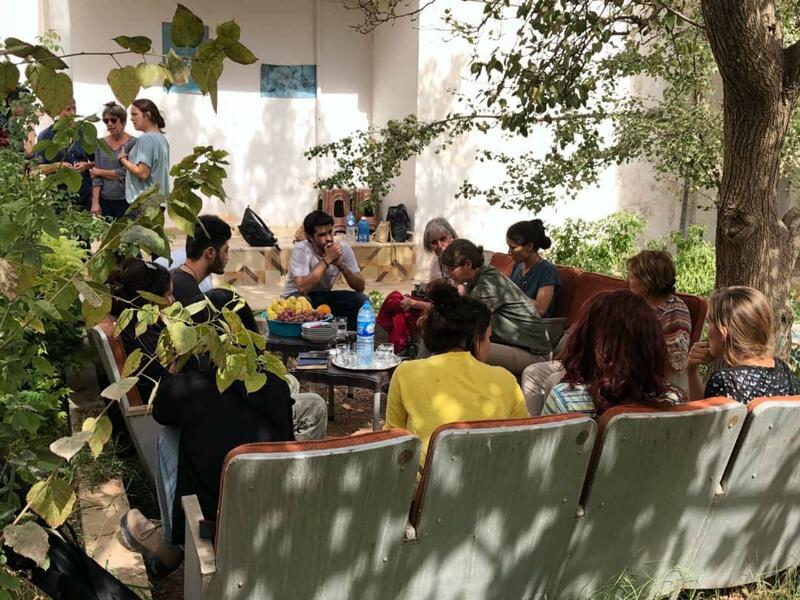 Visitors experience the intense participation of women within the self-defense, public order, economy and social sphere from the moment they step into Rojava. For the people visiting Rojova this is where the basic dynamic change of the system lies. 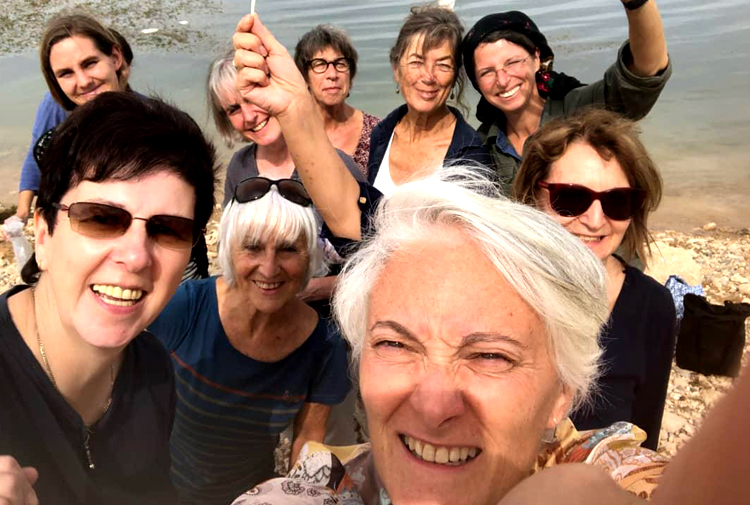 Seven women call themselves “International Mothers Movement.” Cloa Agistros and Conslevo Nunes are Spanish, Daniele Hackman and Clavidia Lucas are German, Ana Maria is Italian, Katrina Lacardin and Hellen Near are French. After agreeing on the idea three months ago, they first went to the Federal Kurdistan Region and reached Rojava after a ‘difficult journey’. 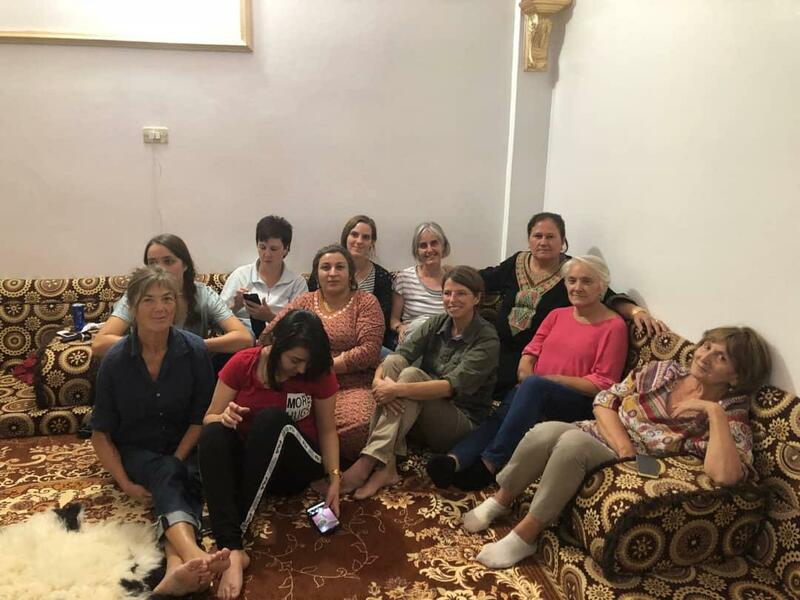 While seven women, hosted by the International Team of Jineology for a week, are travelling in Nothern Syria Federation city by city, they sometimes laugh and shed tears with women they come by. We are hoping for an interview with them all, but we are only able to talk to Conslevo Nunes since their time is limited and the visit program is intense. Her daughter Arin is the interpreter and also her host. Conslevo explains in Spanish and Arin translates word by word. She takes notes and translates exactly what Conslevo says. Occasionally they come eye to eye and the way Conslevo looks to her daughter tells a lot about their close relationship. 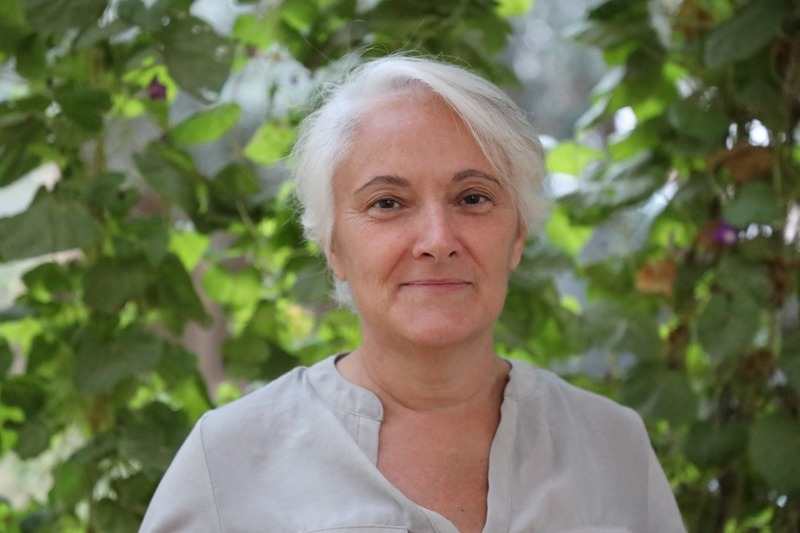 Born in Madrid, Conslevo has 2 children and celebrated her 59th birthday in Rojava. She studied anthropology and retired after working for many years. Conslevo, a feminist activist, says she is impressed by the link between the Spanish revolution and the Rojava revolution. She says “They take our hope from our hands. We have to keep the hope alive” and adds that they started this journey with women who believe this hope. According to Conslevo there are two adresses for hope: Latin America and Rojava. “Another thing… It might sound trivial to you but I can’t express how important it is for us: There is a great respect for those who contributed to this revolution and those who lost their lives. For example there is an Assocation for Martyr Families. In the west, since capitalism tries to take away our spirituality, it also wants to break our ties to the past. Not here. Those who contributed are not forgotten. They are always gratefully remembered. Their hope and dream are kept alive. 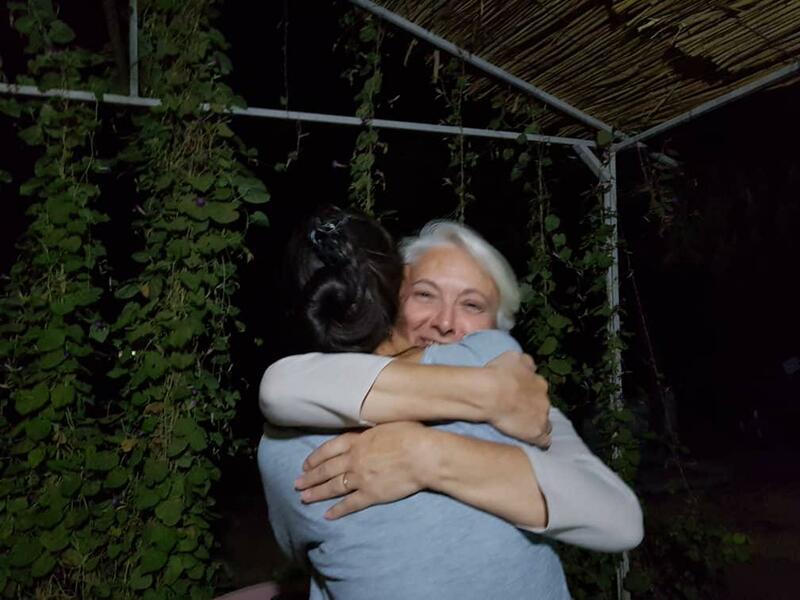 The International Mothers leave their children in Rojava after “experiencing the most precious journey and collecting many memories” in their own words. İngilizceleştirdiğimiz haberin Türkçesine buradan ulaşabilirsiniz.